When it comes to replacing steamed-up windows it doesn’t mean you have to replace the whole window. We can save you £££’s by just changing your glass. Steamed up, fogged, blown. Whatever you call it, the sight of a window clouded or even dripping with condensation between the panes is not pleasant. It ruins your outlook. It restricts the light into your home. It convinces you it’s raining on the sunniest day of the year. A dripping window can ruin the entire appearance of your home. A failed glazing unit doesn’t get better. It gets worse, until you just can’t see out, and it’s depressing just to look at. WindowGeeks can replace just your misted-up glazed units, even single ones in a multi-paned window. We can do this, whatever your frame material – PVCu, Aluminium or timber. We do this without major disruption, without fuss and without a mess. What’s even better is that it doesn’t cost as much as you might think. With double glazed units supplied & fitted from just £35 inc vat, we offer the most competitive prices on replacement glass across the WA postcode area. We even give you a generous 10 year guarantee on top too. So always call us first on 0800 5 118 887 to arrange your Free quote. Or you can use our contact form HERE. Windowgeeks offer replacement glass for all your windows or doors. 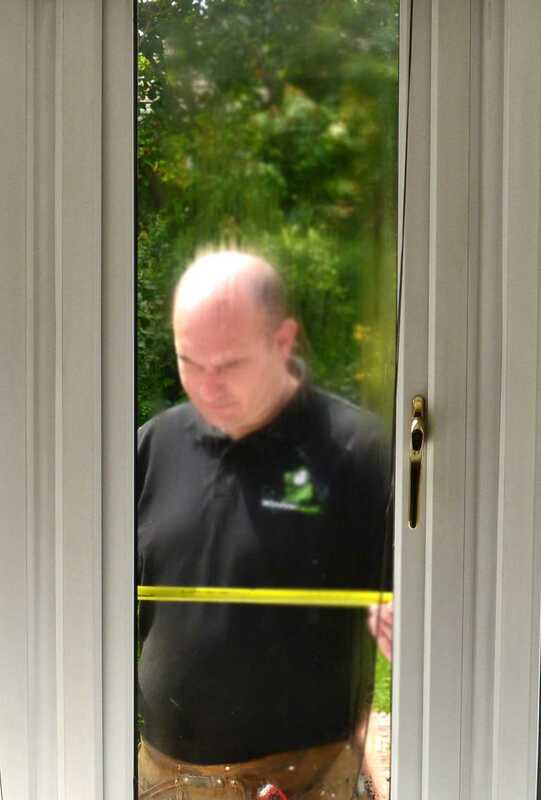 We measure your existing failed double glazing glass and provide a FREE ‘No obligation’ quote for your replacement double glazed unit. Whether your glass is leaded, has Georgian bars, colours, patterned glass or textured glass. We can usually replace it all, like for like. Your replacement double glazed units will be manufactured to the same dimensions of your current glass for a perfect fit, we’ll even safely dispose of your old glass when we come and fit your new double glazed unit/s. In fact replacing double glazed units is our speciality. No deposits taken, no minimum order value & no credit or debit card charges for your replacement glass. We can also fix any of your other window & door problems too. We won’t be beaten on price, quality and customer service, and we dont employ salesmen.. So call us now for your FREE quote on 0800 5 118 887. Although we don’t do costly ’emergency’ glazing, we can still replace a broken or shattered glass unit the same way we would a failed unit. Most of the time a broken double glazed unit only breaks or shatters on one side anyway so it’s usually more than safe enough to stay in place for a few days whilst we get a replacement for you. We also offer the latest energy efficient glass to increase the thermal performance of your existing windows & doors, and that’s in any room of the house. 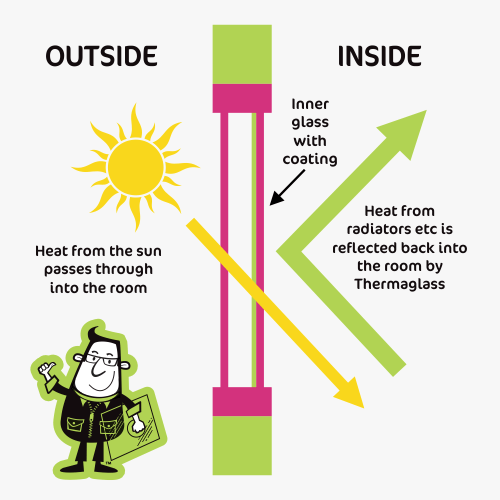 Our energy efficient glass can be up to 20% more energy efficient than standard glass and all this is without changing your frames; keeping your home much warmer in the winter and cooler in the summer. We often offer free upgrades to this type of glass too. We offer a generous no quibble manufacturer backed 10 year guarantee against seal failure happening again, which would result in condensation between the panes. With over 35 years’ experience in the glazing industry; WindowGeeks offer you a cost-effective solution that will save you hundreds of pounds as an alternative to replacing all of your double glazing. 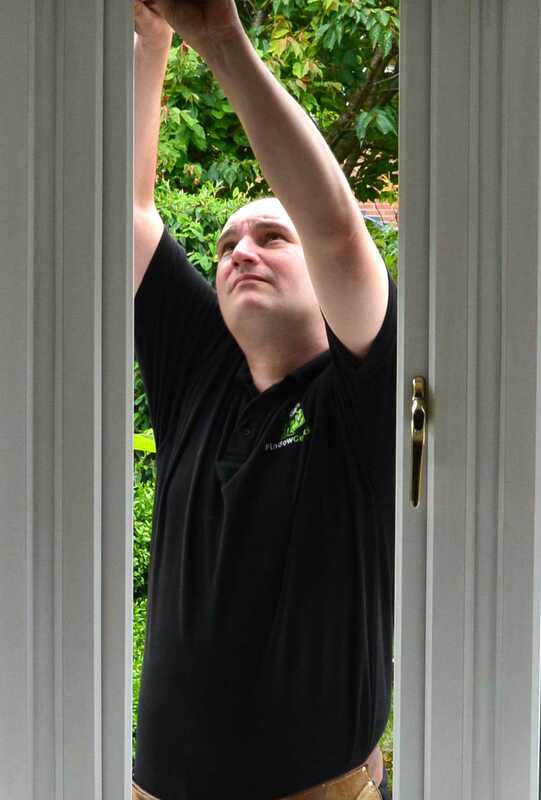 So if you have steamed-up windows, broken handles, hinges or locks, call us first to arrange your FREE survey on 0800 5 118 887 or contact us using the online form here.